In this months issue of Inspirations, we highlight a few of our recent favorite applications of Cochran’s product, all shown on our Live Sawn White Oak. 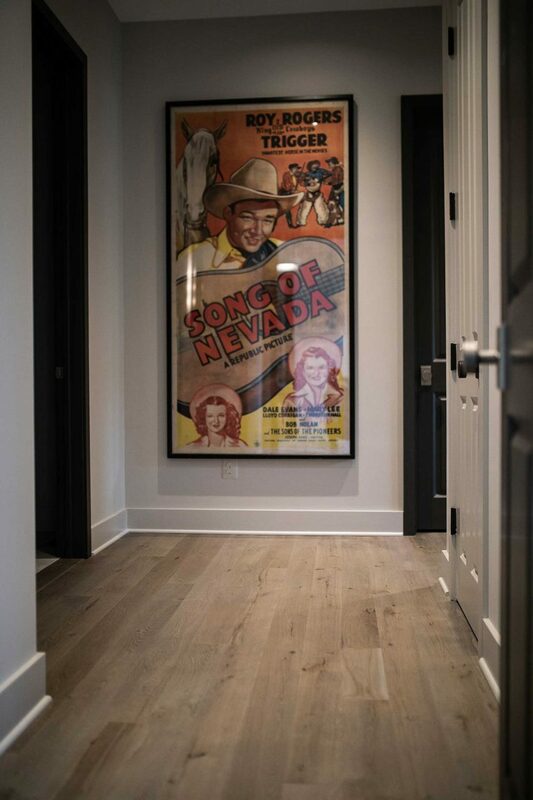 After forty years in the wood flooring business, we know that none of our wonderful floors could be fully appreciated without skilled installation partners. 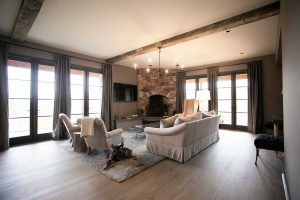 We invite you to read on, enjoy the images, and let us know how we can help you realize your ultimate space! Designed by Daniel J. Moore Design and built by Joe Keyser Construction, this beautiful equestrian farmhouse features large open spaces and expansive countryside views. 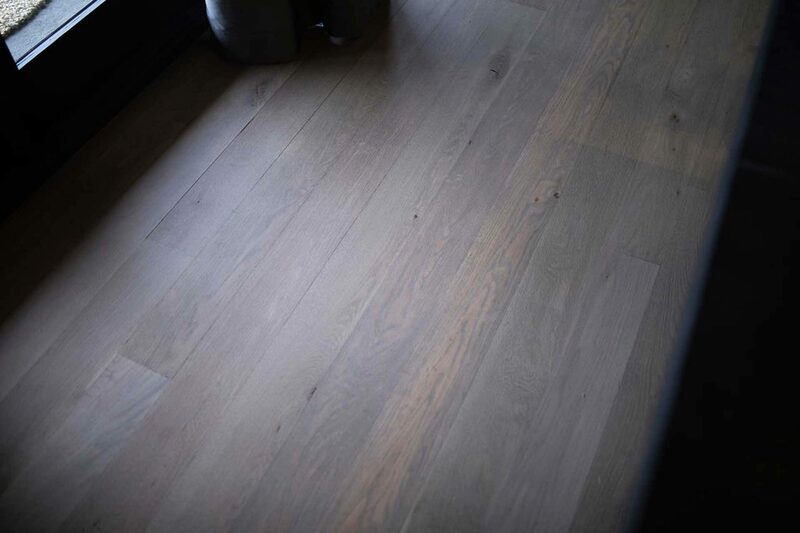 Featuring one of our newer custom finishes, Weathered Oak (shown on Live Sawn White Oak), the flooring pairs perfectly with the dark-trimmed floor to ceiling windows and reclaimed oak timbers. 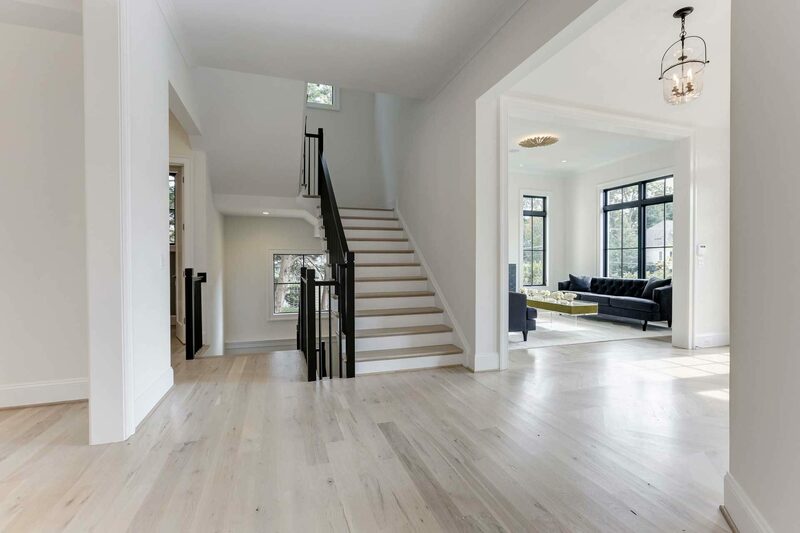 Our quality hardwood flooring is only as good as the installer and the builder that handles the flooring. Case and point…This stunning quality-built home by Brush Arbor Homes combines both elegance and functionality with our Live Sawn White Oak floors. 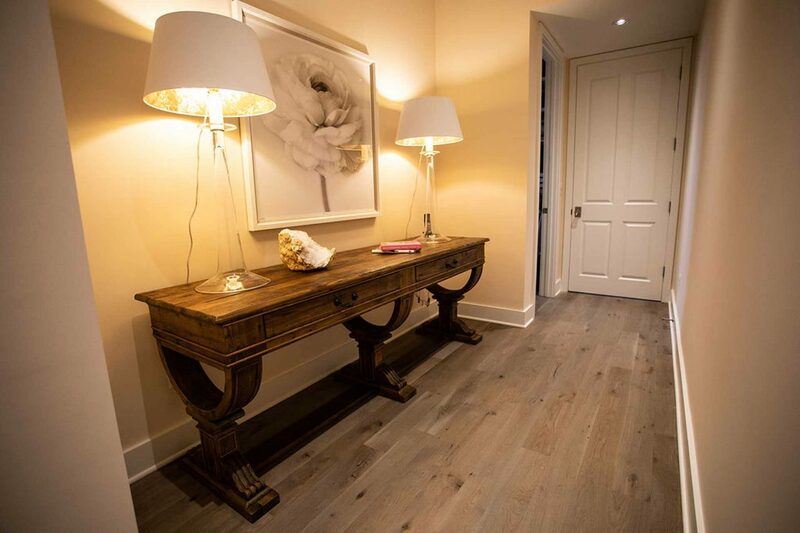 The floors were installed and finished by Lux Flooring Specialists. A flooring leader in the Northern Virginia area, Lux Floors is a valued partner due their attention to detail (check out that chevron pattern in the foyer!) and their ability to create a truly custom on-site finish. Cochran’s Lumber, Inc. is proud to be the leading provider of spectacular floors for homes, offices, and retail spaces across America! Our newly redesigned showroom was thoughtfully designed to make the selection of flooring and finishes exciting and simple. We feature a variety of new and reclaimed flooring products and many new and unique finishes.